Case studies, tip sheets and more on how to improve your communications initiatives from corporation, agency and nonprofit thought leaders. Professional communicators need help with Google and this guidebook offers eyeopening explanations of the vast possibilities of Google’s tools and how other communicators have taken advantage of them. The Google for Communicators Guidebook will help get you on the right path as the internet of tomorrow broaches the horizon. Crisis management is an art, not a science. In this edition of PR News’ Crisis Management Guidebook: Strategies & Tactics, you will discover many different views on this art, and you are certain to find takeaways that will transform the way your organization handles crises. JUST RELEASED: 2019 Edition. Be sure to get your hands on the newest edition of the PR News Social Media Guidebook to get the latest innovations in social media and cutting-edge tactics that will win the attention of audiences most important to your brand. Information sure to be a boon to your social media career. In PR News’ Book of Employee Communications Strategies & Tactics, our authors meet that question in more than 45 articles covering internal crisis communications, social media policies, human resources collaboration, brand evangelism and more. In PR News’ Writer’s Guidebook, the necessity of communicating well in writing is met with more than forty articles detailing how best to write press releases, emails, speeches, biographies, backgrounders, crisis communications and annual reports. The newfound ability to measure everything, especially on social media, has brought with it a new demand for insights. Communicators now more than ever have to think more about outcomes and how the functions of public relations can be tracked and aligned with the business priorities of their organizations. This new role of communications is the focus in the newest edition of PR News’ Book of PR Measurement Strategies & Tactics. In this PR News Video Guidebook, we’ve gathered advice from communicators at leading corporations, nonprofits and agencies who are boldly experimenting with the most cutting edge techniques in video storytelling. In this edition of PR News’ Media Relations Guidebook, over sixty articles explain how best to pitch, build relationships with, and manage the media in both good times and during crises. This 8-chapter resource contains practical implications for some of the most innovative developments in media relations, including the technologies, methodologies and mannerisms that determine the ecosystem in which PR pros practice this essential part of their craft. In PR News’ Book of Content Marketing Strategies & Tactics features over 45 articles on topics including PR’s role in content marketing, sponsored content and native advertising, live events, webinars and video, content marketing for social media and visual storytelling. This edition of PR News’ Digital PR & Social Media Guidebook has one essential purpose: helping you maximize your communications effectiveness in the digital world. The articles in this guidebook produced both by the PR News staff and more than fifty communications industry thought leaders, focus on most every facet of digital PR and social media. PR News’ Corporate Social Responsibility (CSR) & Green PR Guidebook captures best practices in communicating the positive relationships that organizations are building with their communities of interest. This six-chapter guidebook connects the dots between the effective communication of positive social contributions and corresponding improvements in bottom lines. 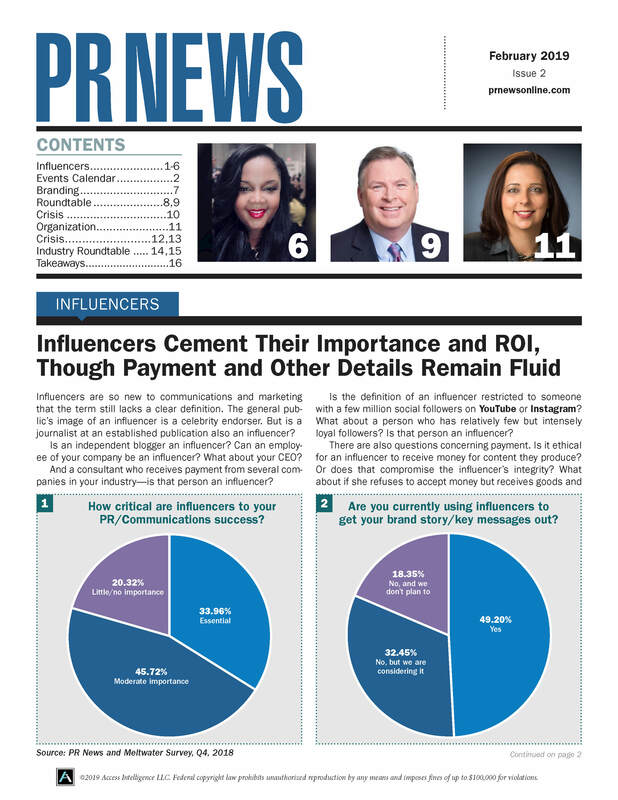 The information within PRNEWS latest Salary Survey Report will provide you with a roadmap guiding you through the trends in PR jobs, salaries and employment. PR News’ guidebook contributors come from corporations, agencies and nonprofits. Each guidebook features about 40 contributors who provide case studies and tip sheets on how to improve different areas of your communications initiatives from visual storytelling to crisis management. If you have any questions regarding a guidebook or placing an order, please contact Client Services at clientservices@accessintel.com.